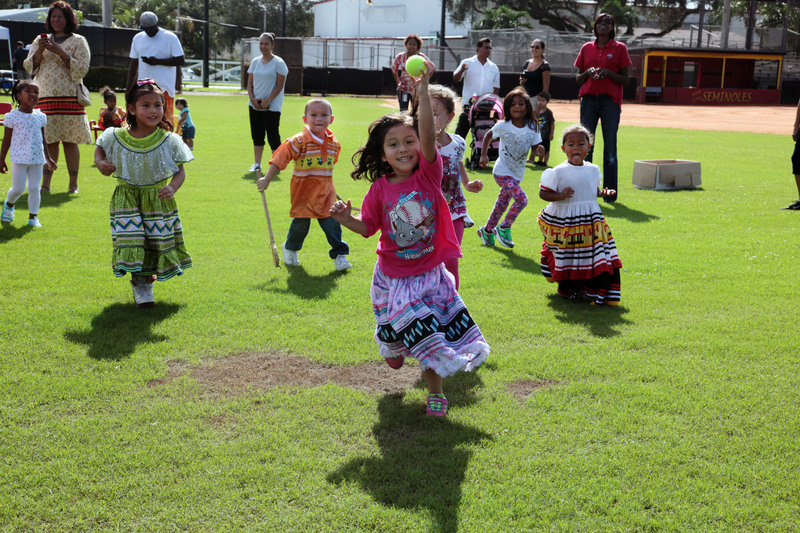 HOLLYWOOD — Culture is best learned while young, so the Hollywood Preschool spent a “Fun Friday” Sept. 20 experiencing Seminole culture. About 60 children participated in a rousing game of stickball, a clothing contest, and a skillet and hatchet throwing competition. 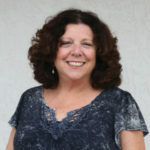 “We worked with the preschool director to give the kids an idea of what goes on during Indian Day,” said Jo Motlow North, Community Culture Center manager. The event was the first Fun Friday of the year; it culminated a week spent learning cultural activities in school, including beading and soap carving. Bobby Frank, Community Culture Center assistant manager, started off the stickball game with his own sticks. Throughout the game, he demonstrated how to use the sticks and helped create the right stickball atmosphere. Kids did their best to play the game according to the rules, but little boys with sticks in their hands found other ways to use them. When those sticks became swords, adults quickly took them away for safety reasons. As Frank whoop-whooped and adults laughed heartily, some children cried when they lost the ball to another child. “Whoever gets it, gets it,” said Frank, to the crying children. When stickball ended, girls learned to throw a skillet, while boys tried their hand at the hatchet throw. Fun Friday events will be held each month, and parents are invited to attend.